This minimalist ceramic round candle holder will display your column and pillar candles up to 7 1/2 inches in diameter without taking away from their glory. Arrange a couple candles for a stunning table display. Candle not included. When is a candelabra not a candelabra? 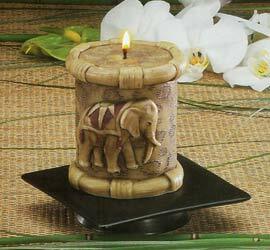 When it's a pillar candle holder of course! Inspired by the candelabras that hang in the Palace Versailles this more manageable version is perfect for those of us who live in petite palaces. White-washed iron with crystals. Candle not included. 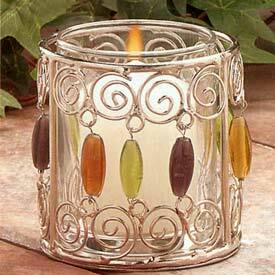 These jewel votive holders are detailed with an assortment of different colored beads. The soft illumination is perfect for a quiet relaxing evening. 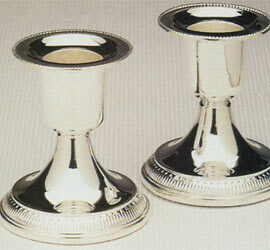 These votive holders create a simple yet elegant appearance when lit. A standard 15 hour glass votive holder fits inside and this is NOT included so be sure to pick one up if you don't have one. They can be located below. Sleek and slender beauty. The perfection in shape of this silver textured candle stand has the delight that’s sure to highlight the ambience with the sparkle of the candle. Comes as a set of 2. 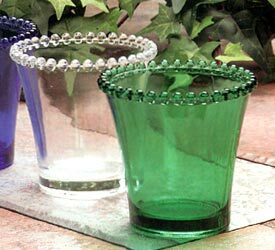 These beaded votive holders are detailed with a beaded edge. The soft illumination is perfect for a quiet relaxing evening. 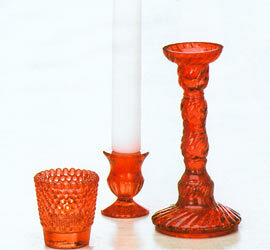 These votive holders create a simple yet elegant appearance when lit. 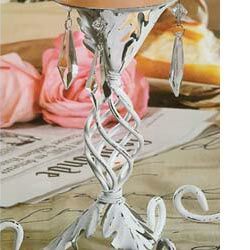 Fits any standard votive & even holds up to 20 to 24 hour votives. Votive not included. For holiday dinners and other happy occasions these glass beaded candle holders are irresistible accessories. These Ruby Beaded Candle Holders are also perfect to create a sultry romantic feel to any room almost reminiscent of a nightclub. Sold Individually.